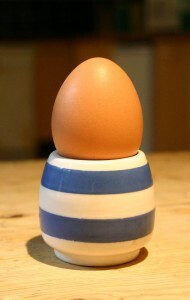 The realistic bit of the montage is the photograph of the egg and the egg cup which was supplied as the starting image. Getting from there to the broken egg on the kitchen table required some thought about exactly what a broken egg looked like. 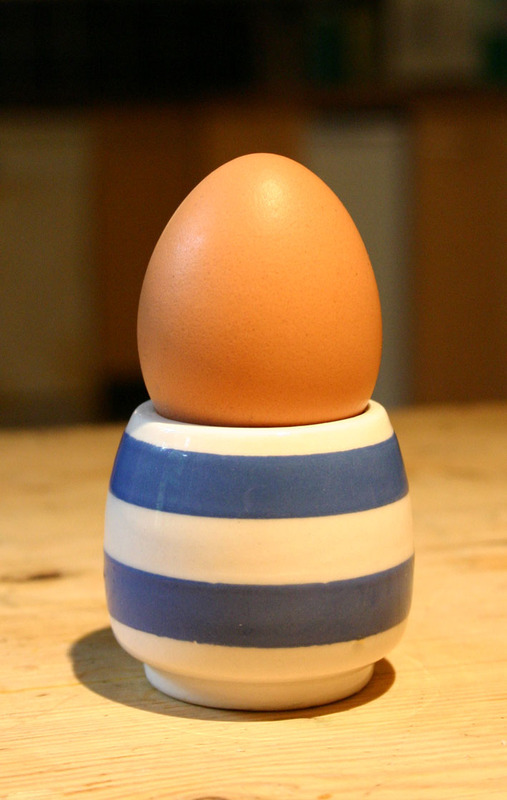 The egg was duplicated to give ‘the other half’ and also given a broken edge. The interior of the shell had to be constructed from a modified and re-coloured piece of shell. 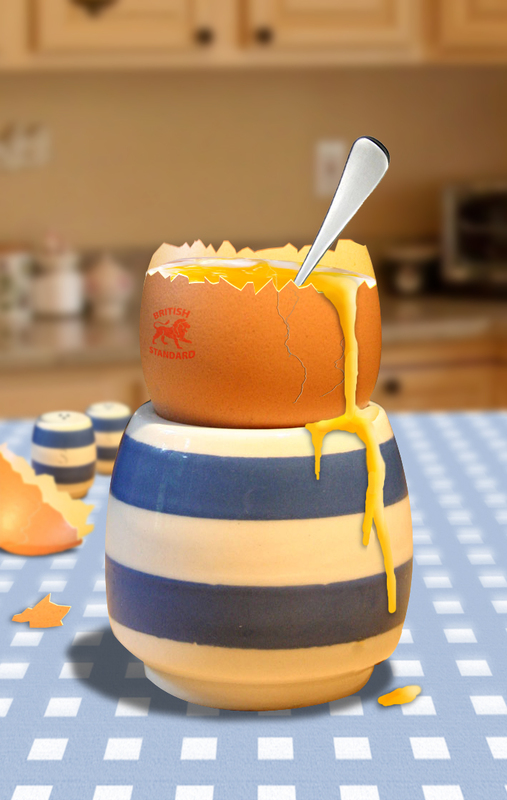 The ‘inside’ of the egg cup had to be reconstructed, a new table cloth and kitchen background had to be sourced from photographs. 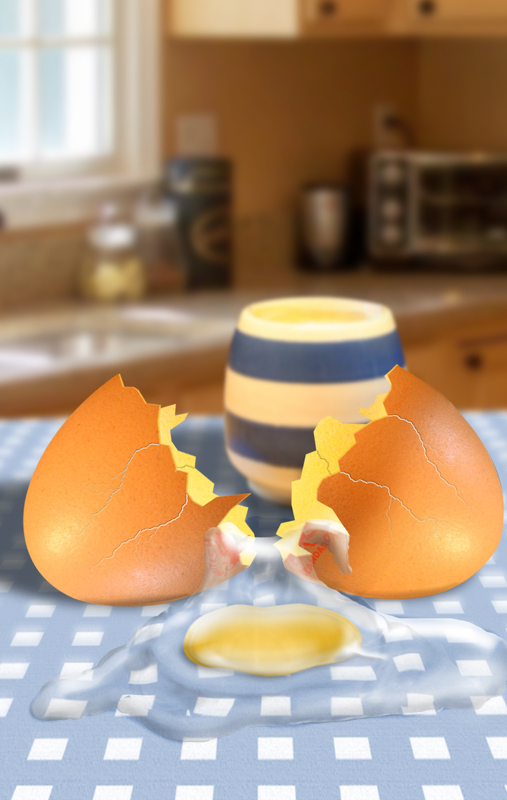 The fun part was creating the egg yolk and albumen and making it look realistic as this was created entirely within Photoshop. The table cover had to be distorted to show refraction through the albumen. Then the scene had to be selectively blurred from foreground to background to isolate the egg and make it the point of interest. We know, and accept, that the image is not real, yet there is an air of reality. Fortunately we had another egg handy so we didn’t go hungry!